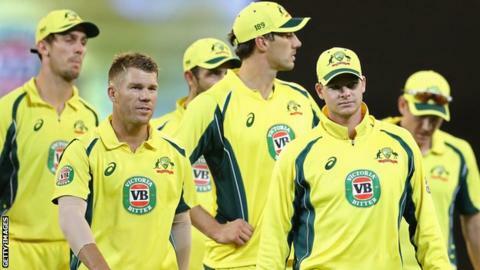 Australia's top cricketers are effectively unemployed after a deadline for them to agree new pay and conditions passed without resolution. The previous agreement between Cricket Australia and the country's leading players expired on Friday, and no new deal has been struck. Money set aside by the governing body will be re-routed to the grassroots. The players' union will meet on Sunday to discuss a possible boycott of the 'A' team's tour of South Africa. That tour comprises two four-day games, with the first beginning on 12 July. Analysis: Are the Ashes really under threat? More than 200 leading cricketers are affected by the dispute, which centres on Cricket Australia's desire to remove a clause from players' contracts which guarantees them a percentage of the organisation's revenue. The board, however, was offering increased pay deals for both the men's and women's teams. If a deal cannot be struck, it places this winter's Ashes series against England in doubt. Are the Ashes really under threat? Read more on Australia pay dispute: Are the Ashes really under threat?